Celebrating success. Recognising achievement. Identifying the good things in our lives. It’s essential for building a positive mindset and improving our wellbeing. It makes us more solution-focused. It helps us to be resilient. It makes us more open-minded and optimistic. But it’s often something that doesn’t come easily. Especially not when it comes to ourselves. After all, what is there to celebrate? We may take notice of the big things: a promotion. A sporting achievement. A pay rise. A new house. But we ignore the hundreds of everyday wins, the great little things we just paper over because they’re the norm. And yet in doing so, we are missing out. Because in every single day, there are so many tiny things which when we stop and look, are worthy of noting. It could be a kind word from a colleague. It could be a compliment from a stranger. It could be a hug from a family member. It could be a smile. It could be a helping hand. It could be…..it could be many, many things which, in the busyness of our doing, just pass us by. 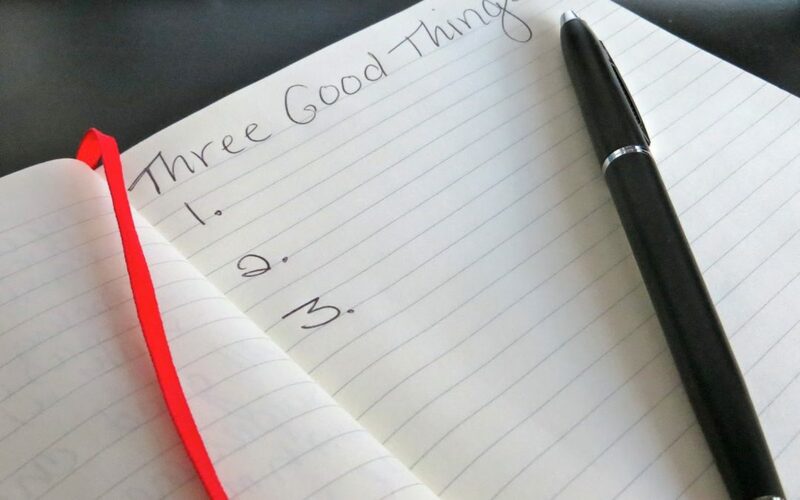 It is important that we allow ourselves space to reflect on these moments, capturing them, for example, through three good things at the end of each day, or through a journal, or just mentally taking stock and noticing. This deliberate recognition will help us to be more positive in our mindset and approach. It will enable us to notice the positives more easily. And it will increase our happiness – after all, who knew there were so many great things in our lives? The same can be said in the workplace. How often do we ignore the great things that we and our colleagues do every day because it’s simply ‘our job?’ Organisationally, we will shout about the business achievements – a new office, fantastic end of year results, expansion, award successes – but we don’t stop and take notice of the amazing things people are doing every day. Again, this may not come naturally but we can take deliberate action to make recognition and celebration part of our everyday. We can do it in 121s and meetings, asking people to share one thing of which they are proudest. We can build in appreciation, an approach from Time to Think, at the end of meetings, inviting people to share what they appreciated about each other in that space. We can do it at the start of each day, face to face or electronically: what was the best thing that happened yesterday? We can encourage our people to recognise each other by giving out thank you cards. We can take notice, looking out for little achievements and successes. And we can tell ourselves that it is always worth noting even if is ‘just’ our or their job: too often this is used as rationale for not celebrating some truly amazing things that people do. And what happens when we do this is we make people feel valued – ourselves and those around us. We feel that we matter, that we make a difference. It increases our connectivity with our colleagues and within our organisations and creates a more positive, encouraging workspace that supports our wellbeing, and ultimately satisfaction. We don’t need to wait for the big stuff to celebrate. We need to take notice of the small successes, the tiny positives, the little wins: the small yet significant things which happen every day. What is the thing that you’re proudest of today?